Join us for three days devoted to men and women living with lymphedema. This retreat, offered at no cost to participants through the generosity of our Retreat Sponsors and Harmony Hill Retreat Center, is designed to educate, recharge and inspire those who are dealing with lymphedema and send them home with self-care skills allowing them to live well with lymphedema. 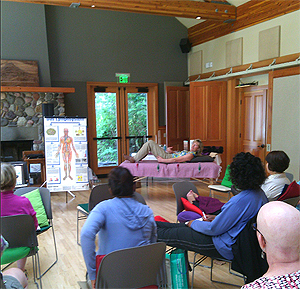 The 2014 and 2015 Lymphedema Retreats, sponsored by the Northwest Lymphedema Center, in partnership with Harmony Hill Retreat Center, were very successful. This is our 3rd annual event – to include a blend of lymphedema education, self-care tips and healing in a supportive environment. The Northwest Lymphedema Center believes that those living with a diagnosis of lymphedema need access to all the tools available for their successful journey from diagnosis through treatment and beyond. 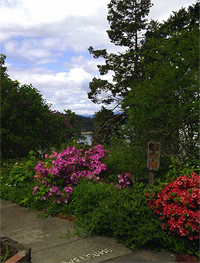 Held in Union, Washington, the campus at Harmony Hill Retreat Center overlooks Hood Canal with a panoramic view of the snow-capped Olympic Mountains. Past retreat participants say: “a kind of magical energy envelops you while spending time at this amazing haven”. You will enjoy comfortable rooms, delicious healthy meals, and the opportunity to get peace from the natural setting, gardens and trails. Attendees receive the three-day retreat – program, lodging and meals, all at no cost. 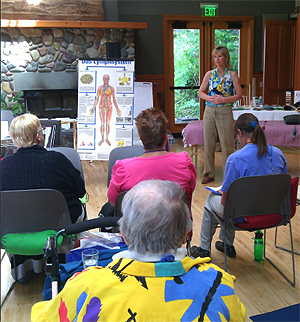 The Lymphedema Retreat is offered at no cost to participants. This is possible thanks to the generosity of the Northwest Lymphedema Center, individuals, and business sponsors. To make a donation to support the retreat, click here . Previous postLymphedema Treatment Act Update-BIG NEWS!